GAROWE, Puntland - Somali Journalist Omar Saed Mohamed, known as "Omar Dhere", who spent six days behind bars, has been released from jail in Garowe city on Saturday, Garowe Online reports. Nugal regional court has ordered the release of the journalist, saying his rights had been violated, after he had held at a southern checkpoint in Garowe, without charge for more than 48 hours. 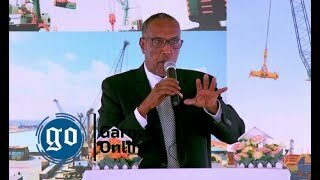 The authorities who arrested Mohamed have been given three-day deadline to bring enough evidence to the charges against the released journalist as the motive behind his arrest is yet remains unclear. 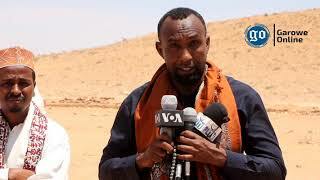 Some local journalists in Garowe, and the Media Association of Puntland (MAP), a press freedom organization have played a big role in the efforts to free Omar Dhere, who works for an Online media outlet, and a privately owned TV channel. MAP expressed concern over the way Mohamed was taken into custody, and added that anyone charged with violating the law should be promptly produced before a court of law. 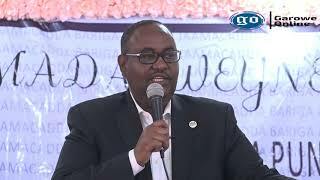 The Journalist's media colleagues have speculated that the arrest might be linked to a Facebook post Omar Dhere wrote alleging the involvement of Puntland State presidency in a counterfeit money-printing scam and the inflation. "I'm very happy to regain my freedom today. I was treated well by the security personnel at the prison. I don't know why and who arrested me," said Omar Dhere, while speaking to GO shortly after his release. 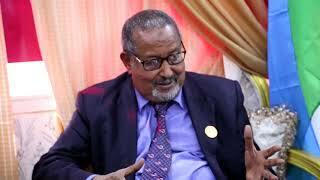 This was not the first time the current Puntland administration led by President Abdiwali Mohamed Ali “Gaas” has arrested journalist with no charges and trials, raising concerns over the freedom of journalists working in the state. 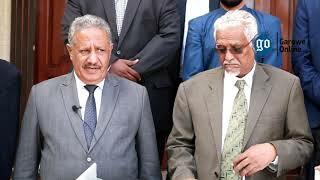 During his presidential camping, President Ali promised to give more freedom to the press and allow the media to present their critic remarks of the government, but journalist said he fell short on his promises since his election.